A study by LG revealed that 9 of 10 people hit the panic button when their cell phone batteries get drained or are close to losing power. 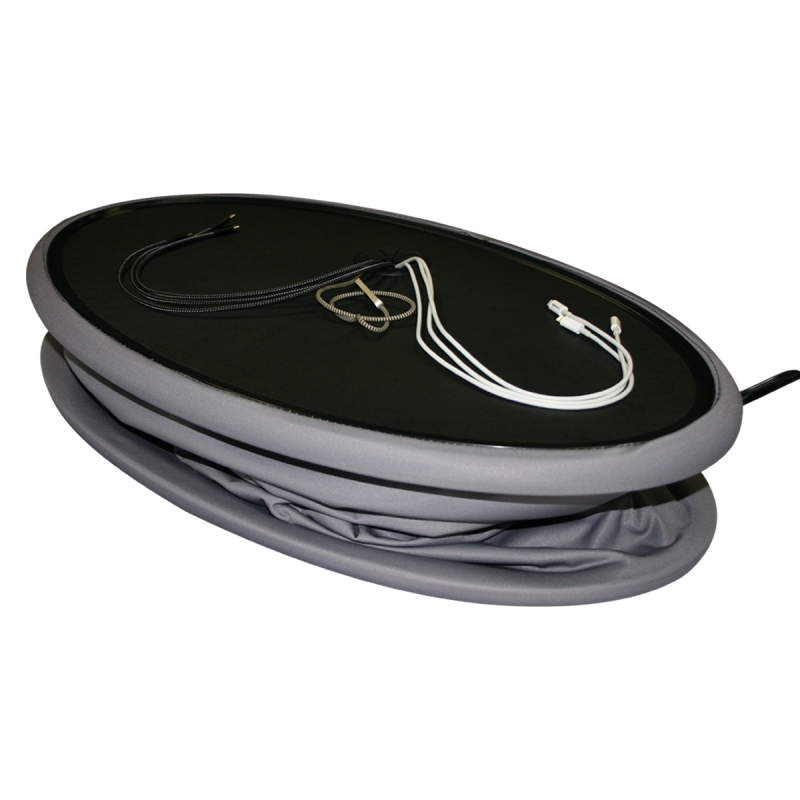 This ‘low battery anxiety’ experienced by many is exactly what our collapsible charging station is here to address. From basic calling-and-messaging devices to a plethora of multi-purpose apps and utilities, cell phones have evolved and come a long way today. Entertainment, social media, finance, travel, trading – mobile phones have come even as far as becoming remote controls for smart homes and offices. Quite understandably, the devices need to be powered up in order to serve their myriad functionalities. 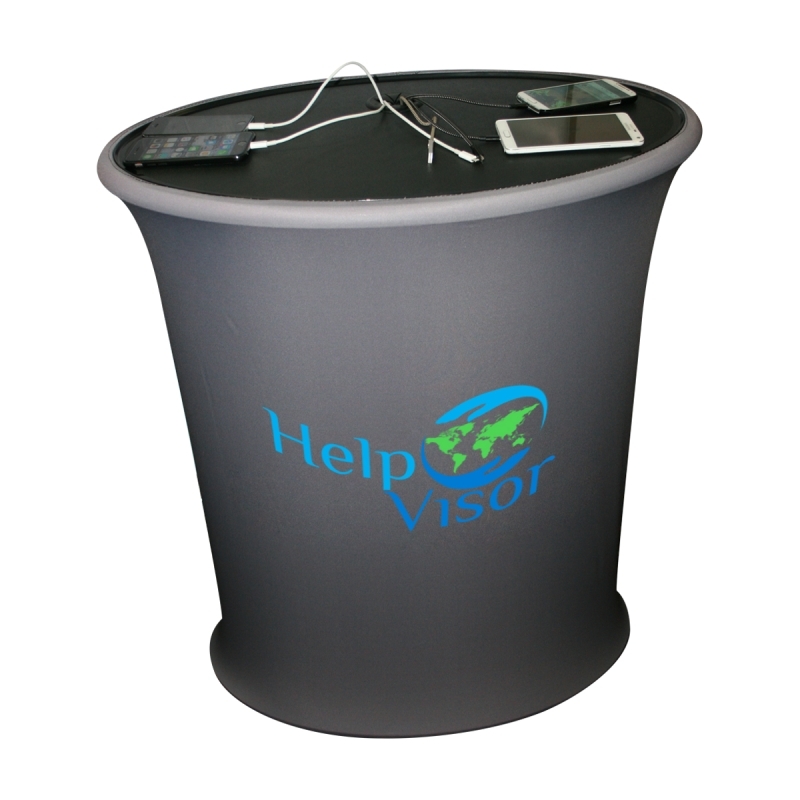 A pop up charging podium/Counter display is, therefore, a cutting-edge solution (a.k.a. problem-solver) to having those essential devices juiced up! Offering free device charging stations attracts new customers, regardless of whether they plan to buy the service/product or not. Further, those genuinely interested can focus on the service/product, and steer clear of recharging hassles. Particularly for retailers and trade shows, it is vital to draw in fresh customers, who without this ‘device-charging lure’ would probably not visit the location at all. As word gets around about your complimentary charging services, word-of-mouth marketing is guaranteed to automatically increase your stall/event’s foot traffic and dwell time – The latter translates to customers spending more time in your space checking out your product/service and interacting with your marketing/salespeople. Most importantly, these super-convenient charging counter convey that your brand cares for customers and wants to address even their smallest needs. This is true in today’s business world where several big businesses fail by being too profit-driven, while certain smaller ones succeed by genuinely caring for their customers. An uncharged phone could hamper essential activities. For instance, if a customer needs to make important calls, access the web to read about your business, shoot an important email, etc., low battery/dead phone leaves them with no choice but to exit before even warming up to you and your product/service. However, a pop up charging station prevents this - Customers spend more productive hours with you since their attention moves away from their device’s dwindling battery. It is therefore important to be aware of the intangible benefits offered by this product by way of higher customer engagement and greater customer appreciation, ultimately leading to a richer customer experience and loyal customers for life. 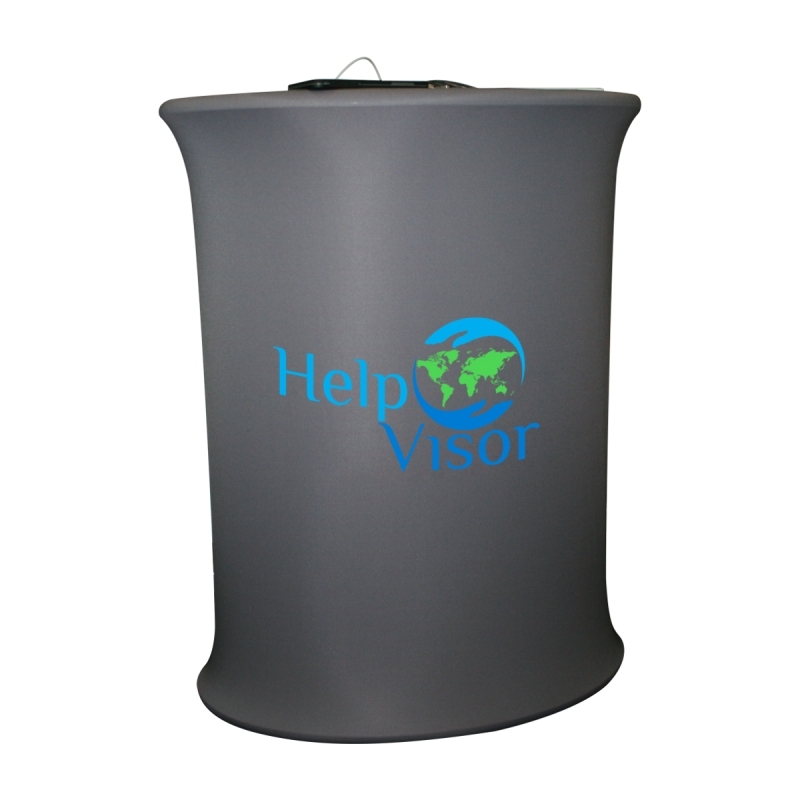 Custom-built branded charging podium represent a particular brand, helping increase brand awareness and accomplish other branding goals too. In addition, venues/events seeking ways to boost profits could use these charging stations as sponsorship opportunities as well. Those who do not wish to invest in a branded charging station for themselves can instead use it as a selling point to help other companies increase visibility and achieve their branding objectives. Appealing display screens on inexpensive and lightweight pop up charging podiums are perfect for creating new advertising opportunities - the screens serve as an ideal display for ad messages. Moreover, by selling screen time as display advertising, charging stations can fund themselves, thereby increasing revenue as well. Additionally, since customers end up spending more time at your location and are also more engaged, the likelihood of them purchasing your product/service and be retained in the long run also increases. In this way, pop up charging counter are excellent channels to increase brand awareness and open up an additional revenue stream as well. Our striking and functional charging station will give your business that special differentiating feature and keep customers coming back for more - Because they know they can rely on you to keep their devices from running out of power. The best part about our charging counter is that they provide multi-device support – Smartphones, laptops, tablets, and more. With so many reasons why our pop up charging station can benefit your business and offer a competitive edge, there is no reason for you not to get one. So, go ahead - Invite your booth visitors to stay just a while longer and charge up!